Start a new family tradition of Fall Apple Carving this autumn and enjoy the apples with caramel dip! 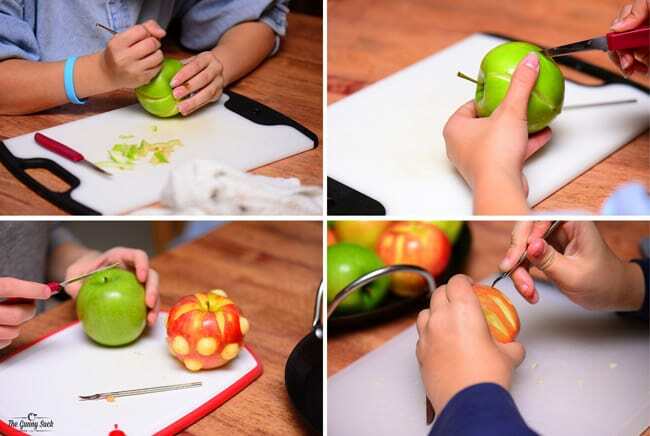 Carving apples is a fun activity for a fall party. Sponsored by The Marzetti® Brand. Every fall we get together with some of our family and friends to carve pumpkins and this year we are adding apple carving to the fall festivities! 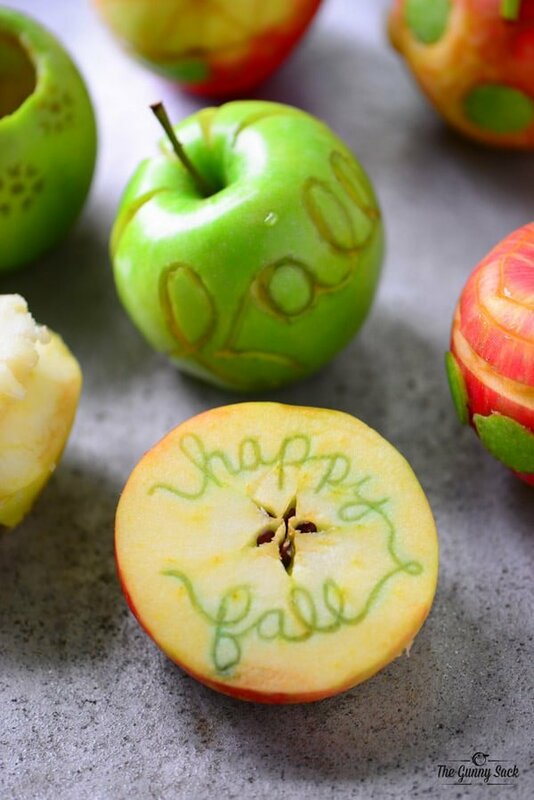 Apples and Marzetti® Old Fashioned Caramel Dip have always been perfect for fall celebrations, but it is even more fun to carve the apples before eating them. It’s easy to do, let me show you how. Start by gathering several varieties of apples. We had red, green and yellow apples. The yellow apples were the softest and are perfect for the younger kids. 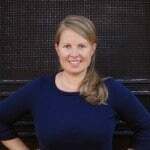 You will also need cutting boards and tools. We used nut picks, stainless steel measuring spoons, small thin carving knives, and melon ballers. 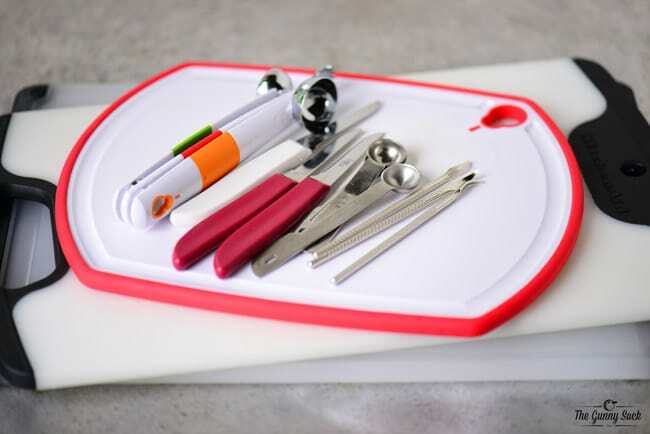 You will also need cutting boards and tools. We used nut picks, stainless steel measuring spoons, small thin carving knives, and melon ballers. Use your imagination to create all kinds of fun designs. Small, stainless steel measuring spoons can be used to scoop small circles out of the apples. Nut picks are good for carving letters and small details. Use carving knives to cut wedges, swirls, and larger details. A melon baller can help carve out the apple core. 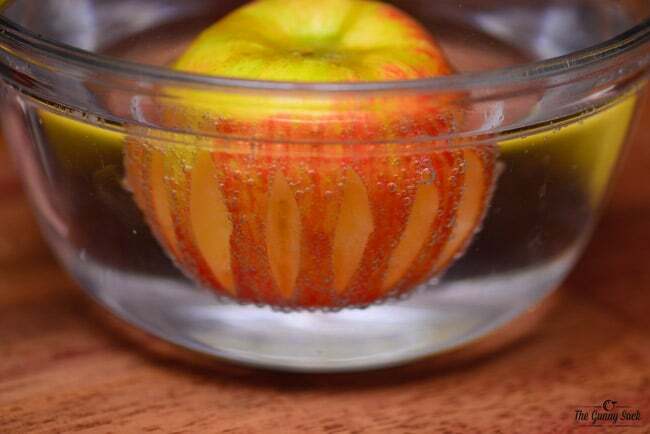 To help prevent browning, put the carved apples in club soda for about three minutes. Now comes the best part…the caramel! 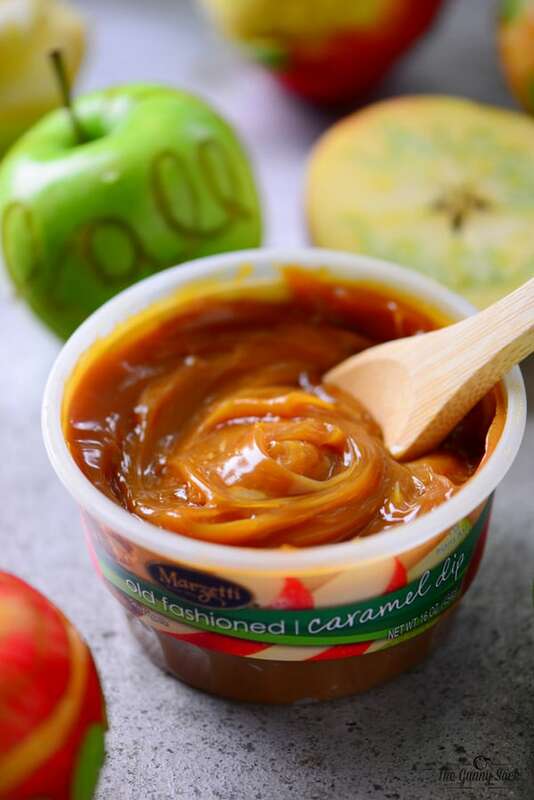 Once you’ve finished carving the apples, it’s time to enjoy them with rich Marzetti® Old Fashioned Caramel Dip. This dip was created specially to go with apples, to fuel the fall activities you love. Everyone had so much fun carving apples and want to do it again soon! 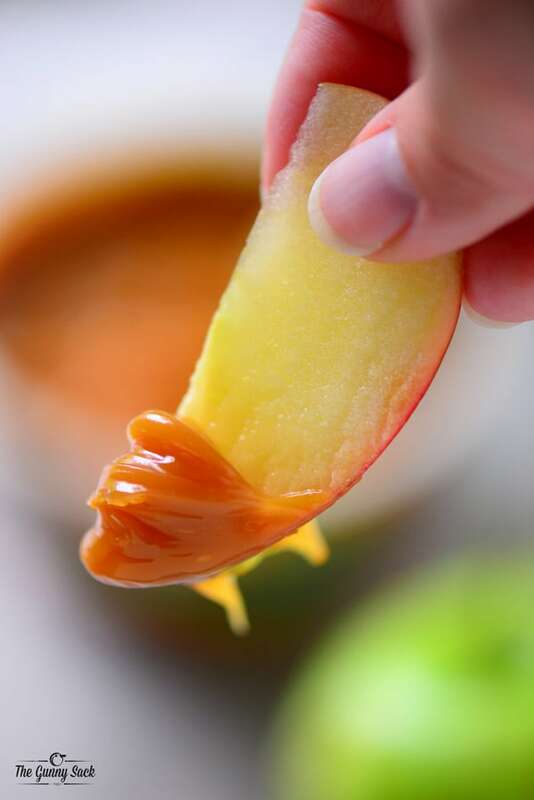 We will be keeping thick, creamy Marzetti® Old Fashioned Caramel Dip on hand all season so we can have apples and caramel at all of our autumn celebrations. Happy fall!